Google Maps will probably get a boost if the ongoing talks between Google and Skybox regarding acquisition are successful. Skybox is popularly known for the high-definition imagery provider. 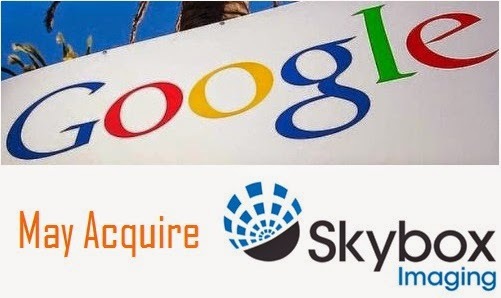 Google may pay $1 billion to acquire the startup. The satellite company's useful technology which specializes in recording very detailed landscape pictures and video will definitely add huge value to Google Maps and Google Earth services. Some internet sources are spreading across the rumors that Google may actually be targeting other such companies such as Planet Labs or BlackBridge. “We have heard that Google is interested in making a play for a satellite imaging company. But there are a number of companies out there that are using small satellites and other technology to record the earth’s terrain that could fit the bill,” the report available. Google has already acquired American drone manufacturer Titan Aerospace for an undisclosed sum to further its connectivity goals so it is obvious that we would definitely hear some more news regarding the acquisition.